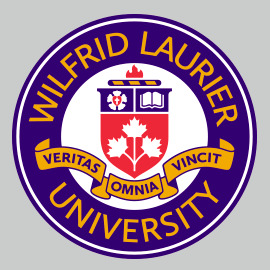 Wilfrid Laurier University is committed to protecting its students, faculty and staff by providing a safe and healthy work and educational environment. Identifying and addressing workplace hazards including activities in off-campus settings. Operating in an environmentally conscientious manner and minimizing impacts to our environment where feasible. Achieving and maintaining compliance with federal, provincial and municipal environmental, health and safety laws and standards of regulatory authority respecting the occupational health and safety. Attain a high standard of institutional accountability for environmental, health and safety stewardship. The university will provide health and safety training to employees and students, and they will participate in such training. It is the primary duty of all faculty and staff who are supervisors, as defined under the OHSA, to ensure that any persons performing work under their direction are made aware of and comply with all applicable health and safety policies and procedures. They are responsible for ensuring that all aspects of the workplace, including teaching and research sites, are safe and that any risks, hazards and safety violations drawn to their attention are investigated and mitigated promptly. Everyone, regardless of position or role, has a part to play in creating and maintaining an injury free environment. Employees of the university shall be aware of and in full compliance with their respective duties and responsibilities under the Occupational Health and Safety Act, Environmental Protection Act, their regulations, and other statutes. By extension, students, visitors and contractors of the university are also required to comply with all relevant legislation and university policies. This is achieved through the successful implementation of the internal responsibility system which is the underlying philosophy of the OHSA, wherein responsibility for H&S is shared by all parties in the workplace. Note: the Board of Governors must approve this policy annually according to the OH&S Act.